Many ham radio operators and SWLs keep telling me that nothing is going on on shortwave. On top of that there are news that international stations are discontinued and you keep thinking, “Ok, this station is gone now as well, too bad.” The listeners forget about it and in the worst case, they pursue a different hobby. Many OMs do not notice that there is not less activity on the band but that local noise has become a lot stronger and so many stations get lost “in the mud” and cannot be heard anymore. That means that these stations are simply hidden by the noise floor and are beneath the local noise level. Over the last 10 years, the number of interferences on the bands has increased slowly and gradually. There are more and more switching power supplies, photovoltaic systems and other electrical devices in your home, which are badly or sometimes not at all insulated. In the best case you try to find the source of the interference or replace the power supplies by tried and tested conventional transformers. This is becoming more and more difficult, though, due to legal restrictions because these transformers are considered to be a waste of power and are not allowed to be produced any more. Additionally, there is PowerLAN, also known as PLC (power line communication). Many people do not know that they cause bad interferences by using PLC and that you do not have to have these devices in use in your own home to cause trouble. In only takes your next-door neighbor who can interfere with your radio reception. It would be nice to live in a radio-friendly neighborhood, but in most cases your neighbor does not understand your concerns and does not understand why he should be using something different. I live next to a pharmacy and its owner cannot change anything because his PowerLAN network or LED-banners must be on all the time. In this picture, you can clearly see those interference which are caused by PLC (continuously at about -83dB) and how clear the 40m band is. In such an environment many station cannot be listened to which would otherwise be audible. I could hardly receive anything with E-field antennas and that is why I changed to a magnetic (H-field) antenna, such as MegaLoop ML200 and ML052. This is definitively the better alternative because besides higher levels of reception, magnetic antennas are less sensitive as regards electrostatic interferences than E-field antennas. I showed this in this article. But they are more expensive. 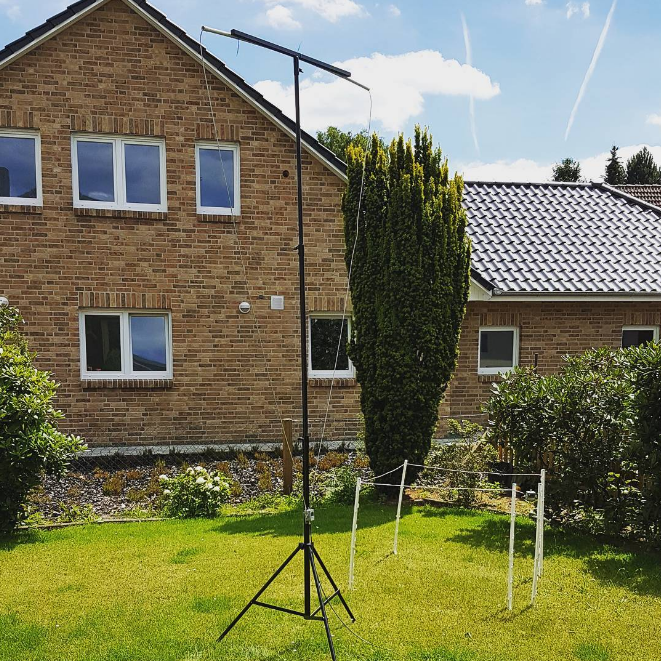 E-field antennas, which are sensitive to electrostatic interferences, could not be tested in my office and I had to run the tests in the great outdoors. This is especially true as regards the old Mini-Whip and its clones because these antennas draw a considerable amount of power via the coax outer shield and are not up-to-date anymore. That was one of the reasons why we attached a separate radiating element to the Boni-Whip. So, you go out into the country side and look for a quiet place for your antenna and are expecting a far better reception. But there is hardly any change. Why? Because the coax cable is run through all the interference-causing environment and this is the reason for not getting better reception. Most radio operators, like I until recently, still use simple RG58 coax cable. As far as attenuation and shielding are concerned, RG58 was acceptable. : A good cable up to about the year 2000 but not suitable in today’s environment. A good RG 58 cable has cable shield of max. 40dB. But the interferences go very much beyond that and make reception worse or even impossible. These interferences are not necessarily noticeable by their crackling, rattling or popping noise. In some environments, a basic noise level of -80dBm is considered normal and only strong signals can be received. By using high-quality coax cable you can minimize disturbing noise considerably. At first I was very doubtful and ignored the issue, but by accident I found a good solution. During the first tests of the MegaLoop ML052 I still used the RG58 and the FM station “SAW” was received unimpeded, although this antenna has an integrated FM band stop. I sent the test model back and in the lab the band stop filter worked perfectly, but not at my place. I still could receive FM stations. By accident I noticed that I was still getting FM stations even without an antenna being connected. I installed 40m of H 155 cable throughout the building and Bingo! no FM stations any more. The outer copper braiding of the H 155 is closely meshed with a lot more wires and almost covers 80% of the cable. It lies on an aluminum double composite film (aluminum-PET-aluminum). This PET coating between the aluminums films prevents damage even in the case of tight bend radii. 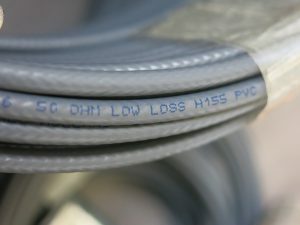 With these features, the H 155 cable has a shielding of 95 dB (!) which is a lot more than the RG58’s. If you need even more shielding and more flexability I can fully recommend Hyperflex 5 from Messe & Paoloni. The Hyperflex 5 has a shielding of 105db! I am using it for the in house wiring. This fall, I exchanged all the RG 58 cable for the double shielded H 155 coax cable. The difference is noticeably audible and can bee seen in the spectrum. Now, I have a lot less noise and considerably fewer interferences on medium wave. 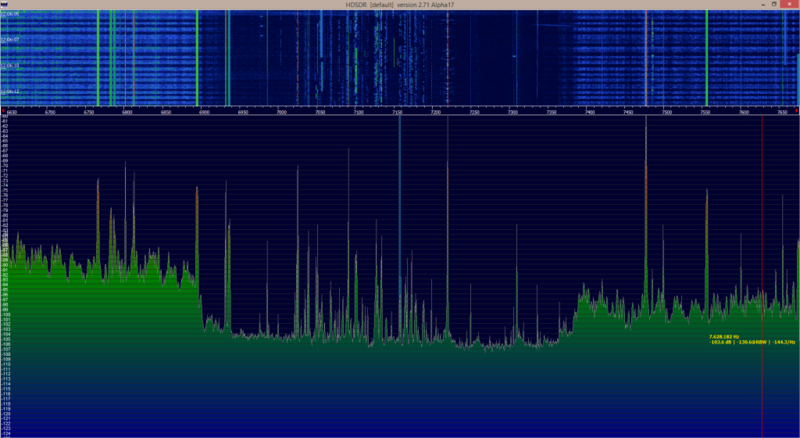 An additional nice side effect is the fact that the H 155 / Hyperflex 5 has lot less attenuation than the RG58. I could have used a thicker cable which would have resulted in even better shielding. But at my location, thicker cables cannot be used and I wanted to use the already existing holes in the wall. The H 155 by Belden and the Hyperflex 5 from Messi & Paoloni are only 5.4 mm thick, which is a little more than the RG58 and they are very flexible. When using a long cable, grounding can be useful. We can offer you grounding clamps for the H 155 / Hyperflex 5. Attaching the clamps is really not difficult and can be done with little effort. If at all possible, the clamp should be buried in the ground and so you have a very good and natural coaxial choke. It is advisable to use a metal mast and wrap the cable around it or install it through the mast. Having a good location for receiving is not sufficient any more: the “clean” signal must also reach the receiver without interference. That is why you need a good coax cable with a high degree of shielding. Since we are convinced of the H 155 and the Hyperflexflex 5 we offer you the original cable by the meter and pre-assembled in our online shop. In case of question, please contact us by e-mail or by phone +49 5052 6052. 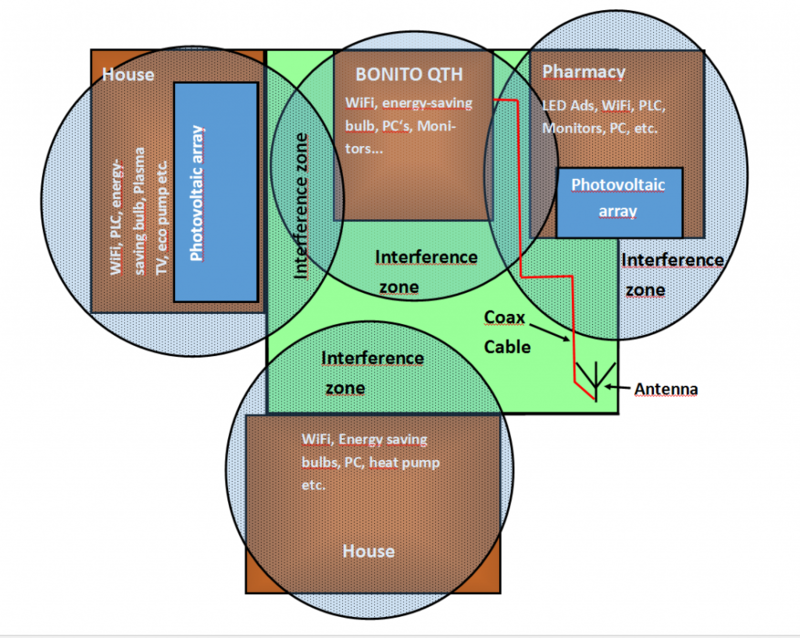 This entry was posted in Active Antenna, Bonito Newsroom, News, Tips and Tricks and tagged Active antenna, Active Loop Antenna, Aktivantenne, Aktivantenne, Aktivantennen, Aktivantennen, Antennas, Antenne, Antenne, Belden, Belden, Boni-Whip, Boni-Whip, Bonito, Bonito, coax cable, DX, DX, DX Camp, DX Camp, H-155, H155, H155, HF Receiver, HF Receiver, Hyperflex 5, Hyperflex5, Koaxialkabel, Koaxialkabel, Koaxkabel, Koaxkabel, Kurzwelle, Kurzwelle, Loop Antenna, MegaLoop, MegaLoop, Messi & Paoloni. 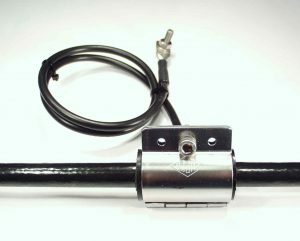 M&P, Mini-Whip, Mini-Whip, Mini-Whip Antenne, Mini-Whip Antenne, ML052, ML052, ML200, ML200, noise, Noise floor, PLC, power Line Connector, Rauschflur, Rauschflur, RG58U, RG58U, SDR, SDR, SDR-Antenna, Shortwave, Shortwave, Störungen, Störungen, SWL, SWL, USB, USB, Worldwide, Worldwide. Bookmark the permalink. * The miniwhip design is flawed as it uses the coax cable as the couterpoise of the antenna. It should be good practice to isolate the amplifier from the cable by a transformer. Simply use the mast or 2m of wire as a couterpoise and connect it to the antenna ground potential. But isolate the cable! * At least two current yokes should be used: One at the antenna and one near the receiver. At both ends energy could be coupled into the cable. This adds to the point above and might fight the miniwhip design flaw. Only tests can show if one of these measures is enough. * In a pure receiving system I see no need to use 50 Ohms cable as the output impedance of the antenna amplifier is hardly ever defined so closely. Receiver input impedances are well known for their impedance tolerances. 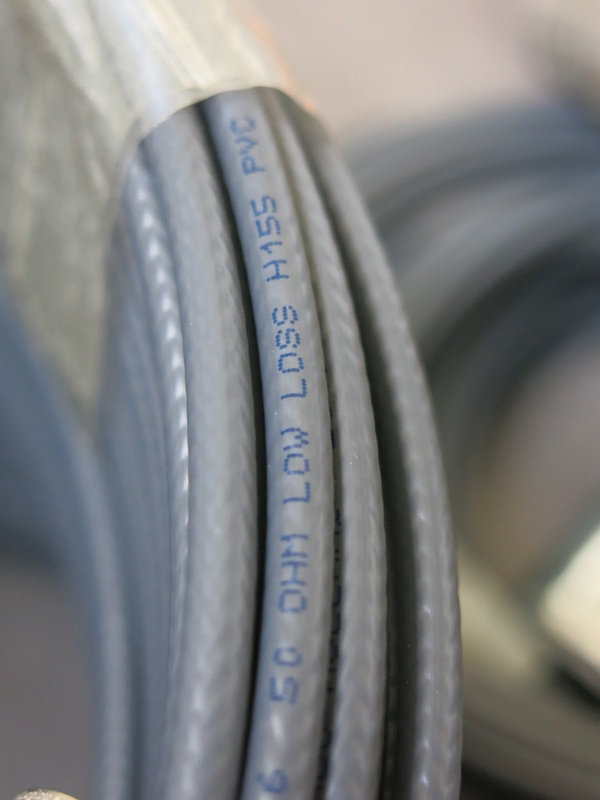 Therefore you could equally well use 75 Ohms cable, as long as you do not mix it with 50 Ohms cable. TV sat cable ist also very well shielded and much cheaper than most 50 Ohms cables. What a hugh amount of readers! Is there a link for “article” ? I have added the link. Is that the correct link? It does not seem to talk about E-field / H-field. Yes, you are right. It is not tranlated in the right way I thought. Sorry. I will do a new article after the Düsseldorf Boatshow. This will be in February. I have already ordered a MegActiv antenna together with Ultraflex7 cable. I am wondering about if the grounding clamp also will fit on the Ultraflex7 cable? No the this works only works with 5mm cables. But I can order you a 7mm Version of the clamp. Just shoot us an email and I will send you an offer for it. You can order it and we will deduct the shipping costs. Great and thank you so much. I just placed an order (#646 ) for an Ultraflex7 clamp and other things. PS: Does your RadioCom 6 RX also support the JRC NRD-545 and Icom IC-R75? Are you going to be at Dayton Hamfest in 2018? Please reply by my e-mail only. I talked with Cord last year. I only live about 94 miles (151 Km) from him.